Jennifer “Jen” Donahue currently serves as the Specialty Programs and Outreach Coordinator for Equest in Wylie/Dallas Texas and has served Equest in the past as Head Instructor and Education Coordinator. She has also worked with SIRE, Houston’s Therapeutic Equestrian Centers, Texas Tech Therapeutic Riding Center in Lubbock, TX, Greater New Orleans Therapeutic Riding Center in LA and founded Pointe Celeste Therapeutic Riding Center in Port Sulfur, LA. Jen holds her Masters of Science Teaching plus thirty hours of graduate work in education from Loyola University New Orleans. Mentor and serves as the State Chair for Texas. Jen currently serves on the PATH Intl. Accreditation Sub-Committee and Driving Sub-Committee. She loves life, people, horses, photography, painting, and being in nature. Mrs. Rebecca Mercer is the founder of the Spirit of St. Louis Therapeutic Riding Center in Tyler, TX and also serves as a PATH Intl registered level therapeutic riding instructor. She has earned a bachelor's degree in elementary education and master's in special education both from the Texas Christian University. Mrs. Mercer is a Certified Equestrian Special Olympics Coach and Area 7 Games Director, a role she held from 2000 to 2006, and again from 2009 to the present. Additionally, she is a Level 2 English and Level 2 Western Certified Horse Professional through the Certified Horsemanship Association (CHA). Kim works full time for Arkansas Blue Cross Blue Shield as a Business Analyst and still takes time to volunteer as an Instructor at Sunrise Riders almost every Saturday for the past 17 years. She was also a riding instructor at a Girl Scout Camp Noark. She is a professional member of PATH, Intl. She is the PATH Intl. State Chair for Arkansas and a board member of the Lone Star Therapeutic Equestrian Network (LSTEN). She is a 2001 CHA Certified Riding Instructor and a PATH Registered Riding Instructor. She has been riding and showing since she was a teen and she has competed in barrels, dressage, jumping and enjoys trail riding. She volunteers with 4-H groups, Horse Tales Literacy Project and also the Houston Dressage Club twice a year as a acting steward. She hopes to get certified as a steward and technical delegate in the future. She also enjoys training horses and dogs. Deacon Larry McCaleb operates 3M Acres from his farm in Zachary, Louisiana, about five miles north of Mount Pilgrim. McCaleb's program offers riding for recreation and leisure, sporting and competitive opportunities, as an educational tool, and for therapy. McCaleb's goal is to provide individuals with skills they can use throughout life. His students participate in horse shows and parades, including Southern University's annual Homecoming Parade. Larry serves as the PATH Intl. State Chair for Louisiana. Shannon has an undergraduate degree in Education with a specialty in Speech Therapy from Baylor University and a Master’s degree in Communication Disorders from the University of Texas at Austin. First introduced to Therapeutic Riding in 1995, she became a PATH Intl Registered Instructor in 2006. She has over 25 years of experience as a Speech Language Pathologist and has been utilizing hippotherapy techniques in her speech therapy sessions for over 12 years at ROCK (Ride On Center for Kids) in Georgetown, Texas. Shannon joined the LSTEN Board after cohosting the 2015 PATH Intl Region 8 Conference with Nancy Krenek. She also serves as the current PATH Intl. Membership Outreach Committee Chair and on the AHA Standards and Practice Committee. Malinda is the Founder and Executive Director of Sunrise Riders. She has been a member of the Professional Association for Therapeutic Horsemanship, Intl. (PATH Intl) for 23 years and is also a PATH Registered Instructor and 1986 CHA Certified Riding Instructor. She has served as the Region 8 Representative for PATH Intl. 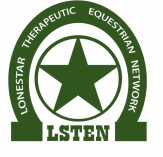 In this capacity she also serves on the Lone Star Therapeutic Equestrian Network (LSTEN) board. She is also a co-leader of the Faulkner County 4-H Dream Team Dressage Club and a coach for the Jr. and Sr. 4-H Hippology and Quiz Bowl Teams. She is on the advisory board for the Horse Tales Literacy Project and the Reading Barn manager. She has over 30 years of experience teaching riding at both private facilities and Girl Scout Camps in AR and Steven's Ranch in TX. She has trained and shown as well. She was also a teacher in the public schools. Calle Poindexter-Hayes is the founder and owner of High Point Nonprofit Services, a company based in Albuquerque, NM that serves as a centralized hub for EAAT centers and nonprofits to collaborate resources and increase each organization's impact on the community. She is also the former Executive Director of The Riding Therapy Center (RTC) of Victoria, TX and a PATH Intl Member and Registered Riding Instructor since 2010, and a PATH Intl. Mentor. She received her Bachelor’s Degree in Animal Science from Texas A&M University, her Master of Public Administration from Sam Houston State University and was a member of the Fightin’ Texas Aggie National Champion Equestrian Team from 2004-2006. She is currently the LSTEN Board President, serves on the PATH Intl. Standards Task Force Committee, is a member of the Best Buddies New Mexico Advisory Board and is currently working on her Yoga Teaching Certification. ​After 36 years in public education, Becke Williams would laughingly say "My horses are calling me to come home, so I did". Having volunteered at a premier PATH Intl. center in Arkansas, she knew the direction for the next phase of her life. Almost two years later and over 10,000 miles of travel earning IT hours, doing PATH Intl. trainings, and attending conferences, Becke earned her TRI certification. Arkansas Heart & Sole TEC is the name of her PATH member center hosted at the family place, Rocking Horse Ranch Arkansas. Helping people through my center and horses make it all worthwhile! Karen Somma has loved horses all her life and was blessed to own her own horse as a teen. After graduating from SMU with a BFA (Studio Art) degree and working for attorneys for 20 years, she was raising her son and searching for a new direction in life. In 2008, she volunteered as a horse leader/sidewalker at SIRE in the Houston, Texas area and immediately fell in love with the EAAT industry. Karen earned her PATH Registered Level Instructor certification in 2011 quickly followed by Equine Specialist in Mental Health/Learning and Mentor credentials. She currently serves at SIRE (Hockley site) as an instructor assisting people with disabilities to gain strength, increase communication skills, develop confidence, and have fun through interaction with those magical creatures known as horses. Rachel Royston is the Executive Director of Turning Point Ranch, a PATH International Premier Accredited Therapeutic Horsemanship Center located in Stillwater, Oklahoma. Growing up on a working ranch in northern Oklahoma fostered close relationships with her horses and the understanding of what amazing souls they are. Her love for horses - and an enthusiastic new friend who was a PATH Intl instructor! - led her to the field of therapeutic riding. Paired with a heart for people with special challenges, she made the best decision of her life to leave advertising specialties and become a PATH Intl Registered Instructor in 2010. Seeing the need to develop volunteers and instructors to be fulfilled and effective in serving, she became a PATH Intl Mentor and later an ESMHL. Rachel has been faculty at three PATH Intl international conferences as well as region conferences and the Minds-n-Motion International Symposium on Equine Wellness, sharing with peers about miniature horse training, mentoring and the identification, selection, training and long term care of horses serving in EAAT. Developing EAAT professionals and caring for her equine partners in service have become passions that grow each day with a constant effort to learn to serve them better. She believes this is the foundation of serving the people involved in EAAT with excellence.